Every month, during school term time, we hold a massive book fair offering you thousands of books in all different languages and genres. 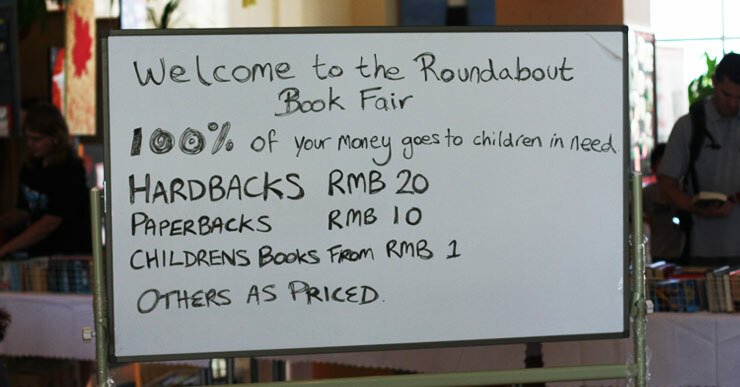 Children’s books start from as little as 1rmb and paperbacks are from only 10rmb. The fairs are kindly hosted by various international schools in the city and 100% of the funds raised are used to help children in need. The events are open to the public and not just for school families. Please see our news and events page for details of our next book fair.